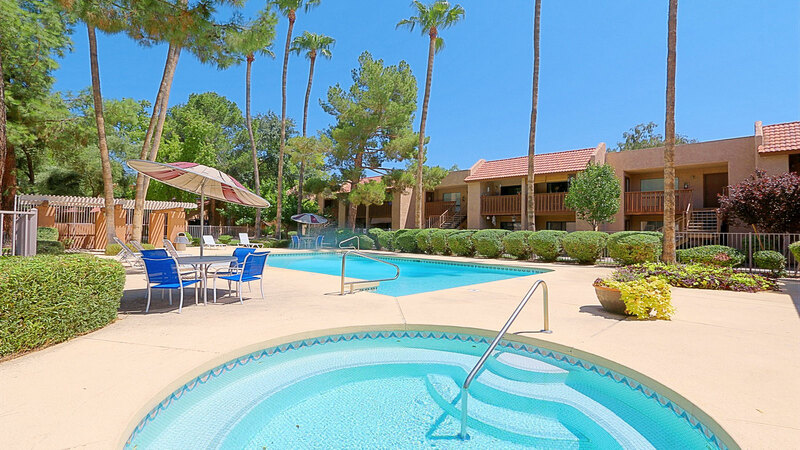 Phoenix, AZ – October 24, 2017 – ABI Multifamily, the Western US's leading multifamily brokerage and advisory services firm, is pleased to announce the sale of the Oakridge Apartments a 282-unit, apartment community for $23,970,000 or $85,000 Per Unit. Originally built in 1984, Oakridge is comprised of 16 contiguous buildings that are of wood frame construction with built-up/flat roofing. The property features an attractive mix of 30 - Studio, 172 – 1 bedroom and 80 – 2 bedroom units with a weighted average size of 688 SF. Each unit is individually metered for electricity and has individual HVACs. According to Alon Shnitzer, Senior Managing Partner at ABI, and lead broker for the Buyer, "We are thrilled to have worked with the buyer, Univest Inc., again. In 2015, we had the pleasure of representing them in their purchase of the adjacent 144 unit multifamily property, West 35th Apartments. Univest's acquisition of Oakridge not only allowed for the completion of a 1031 exchange but also the benefit of economies of scale by owning a major portion of the Northeast corner of 35th Avenue and Greenway." "The Seller, Western Wealth Capital, executed a value-add strategy of select interior and exterior renovations with great success and the Buyer plans to continue upon the same path," states Doug Lazovick, Partner at ABI, who along with Eddie Chang, Partner, led the representation of the Seller in the transaction. Chang states, "The property is ideally located on the north end of the I-17 Corridor off Greenway and is minutes from Deer Valley Towne Center, as well as, the 101 Freeway. With easy access to major highways, job epicenters, higher education schools, quality healthcare and shopping, the property is uniquely positioned for continued high demand." The Buyer, Univest Inc., is a private investment company based out of Newport Beach, CA. Univest, Inc. has been active in Phoenix over the last three years and has purchased nine apartment buildings and is now holding and managing 1,622 apartment units. The Seller, Western Wealth Capital, is a private investment company based out of Vancouver, Canada. Since its inception in 2011, WWC has acquired 31 multifamily unit buildings, representing 5,125 units, with a combined purchase-value of more than $375 million. WWC's current portfolio, net of divestments, includes 24 multifamily unit rental buildings (nearly 4,400 units) in the Greater Phoenix area. With over 30 years of experience, the Western Wealth Capital team has completed over 85 Projects and invested over $1,500,000,000 in real estate. The multifamily brokerage team of Alon Shnitzer, Eddie Chang, Doug Lazovick, John Kobierowski and Rue Bax represented both the Buyer and the Seller in this transaction.